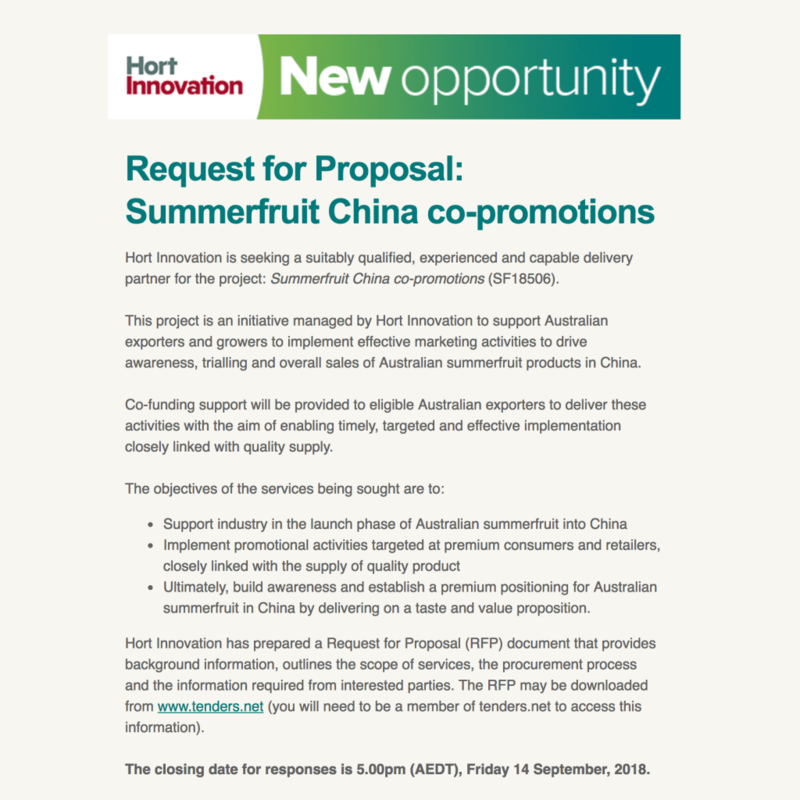 Hort Innovation is seeking a suitably qualified, experienced and capable delivery partner for the project: Summerfruit China co-promotions (SF18506). 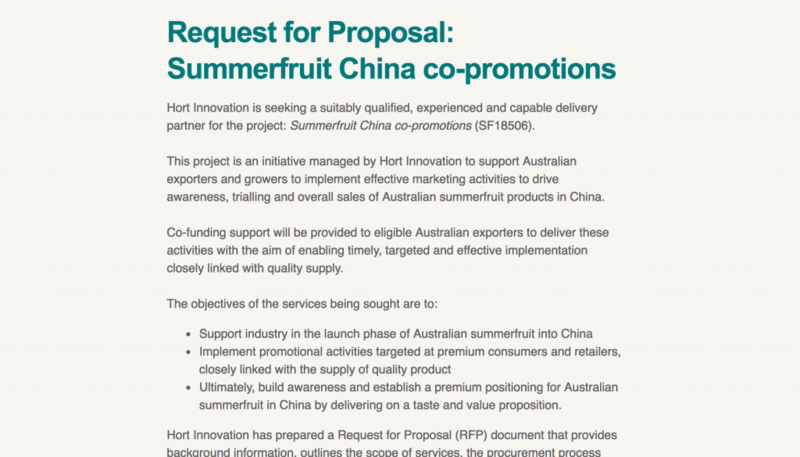 This project is an initiative managed by Hort Innovation to support Australian exporters and growers to implement effective marketing activities to drive awareness, trialling and overall sales of Australian summerfruit products in China. Co-funding support will be provided to eligible Australian exporters to deliver these activities with the aim of enabling timely, targeted and effective implementation closely linked with quality supply. Ultimately, build awareness and establish a premium positioning for Australian summerfruit in China by delivering on a taste and value proposition. The closing date for responses is 5.00pm (AEDT), Friday 14 September, 2018.